With warmer temps finally here, I’m looking forward to summer! Grilling, camping, and drinks on the porch with my hubby! He LOVES anything with strawberries, and especially loves Starbuck’s Strawberries and Creme Frappuccino. However…I don’t love the price tag, so I knew I had to recreate it at home. This recipe is easy and delicious! 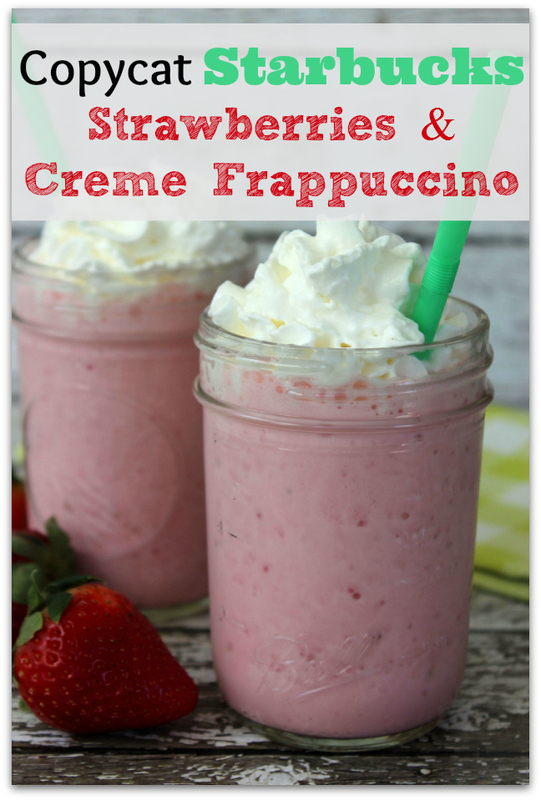 And for just a little more than what ONE will cost you at Starbucks, you can make several of them at home! Whip up a large batch and serve them in smaller, party-size glasses to serve at parties. 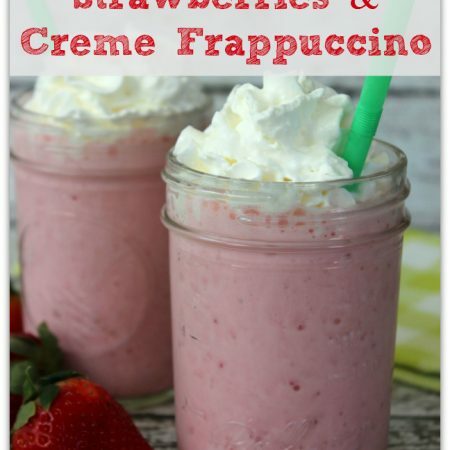 Combine all ingredients except whipped cream in blender. Note: Xanthan Gum acts as a thickener and keeps the frappuccino from separating. It can be pricey, but it lasts a long time. You can substitute it with 1 teaspoon dry pectin or omit it all together if you’re drinking it right away. Note: Xanthan Gum acts as a thickener and keeps the frappuccino from separating. It can be pricey, but it lasts a long time. You can substitute it with 1 teaspoon dry pectin or omit it all together if you're drinking it right away.